If you love IKEA, then you will love it even more when you sign up for IKEA Family. You can get product discounts, free coffee or tea, 90 day price protection and 30 extra minutes in Smaland (supervised kid’s play area). 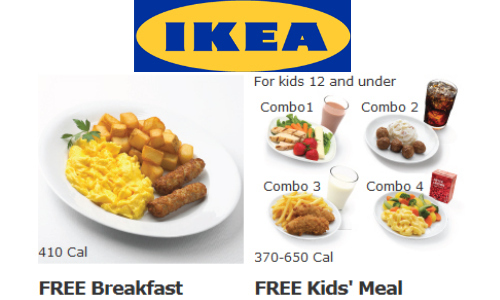 In addition to these perks, through 3/3, you can get a Free breakfast on Mondays and a Free kids meal on Tuesdays! It is free to join IKEA Family, so if you plan to visit an IKEA soon sign up before you go. Find an IKEA near you. Deal available through 3/3.